We work in an elementary school. So if you’re like us, Halloween always makes it difficult for kids to focus, especially with a school-wide parade at the end of the day. 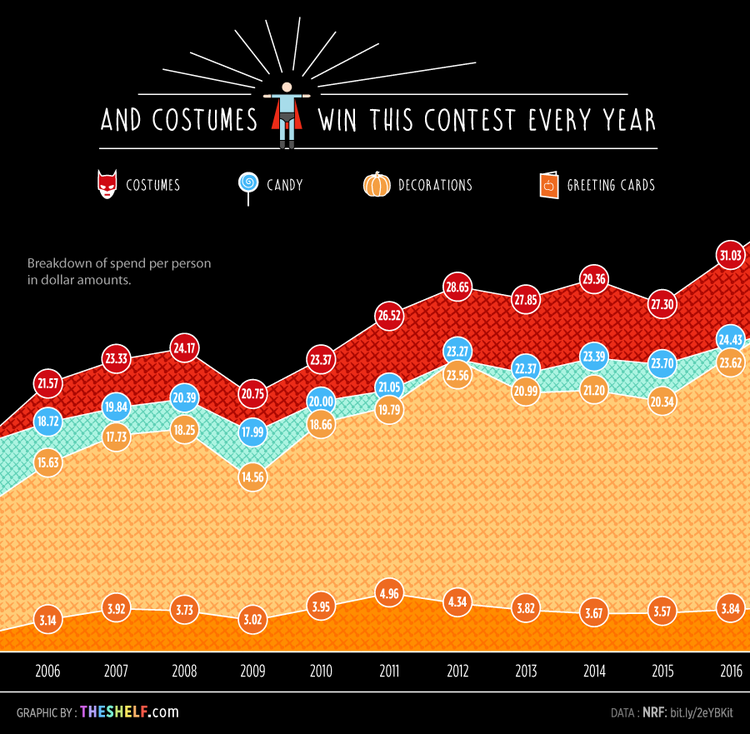 Our attitude toward keeping their attention is to use Halloween content to design lessons that tap the spirit of the day. 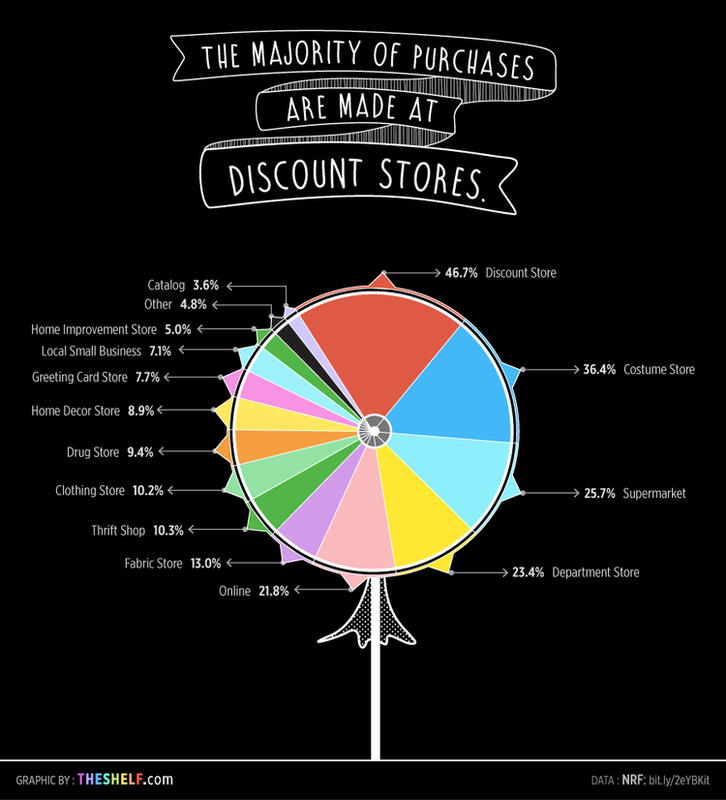 This year we found two new infographics to use with our learners. 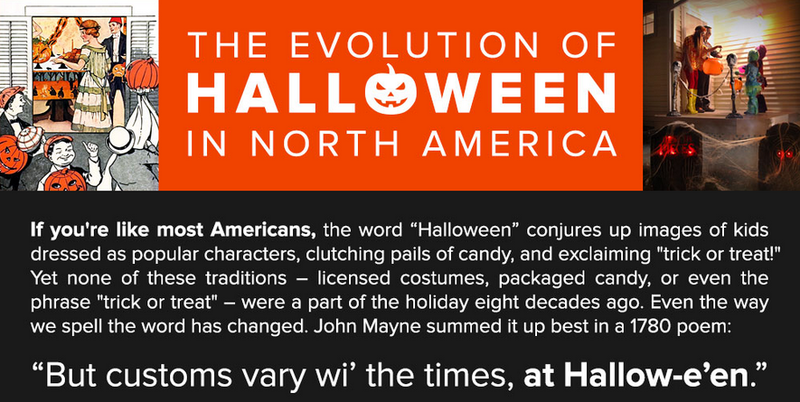 The first is The Evolution Of Halloween In North America. The timeline begins before 700 in three separate periods in history; from the 1900s to present, the timeline is arranged by decade. 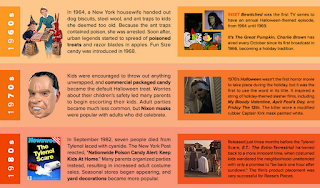 The two-column layout of this infographic provides a visual connection between the history of the holiday and the literature and popular cultural aspects of the time. 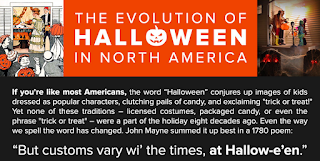 It’s perfect for scavenger hunts on the evolution of costumes, candy, and traditions. 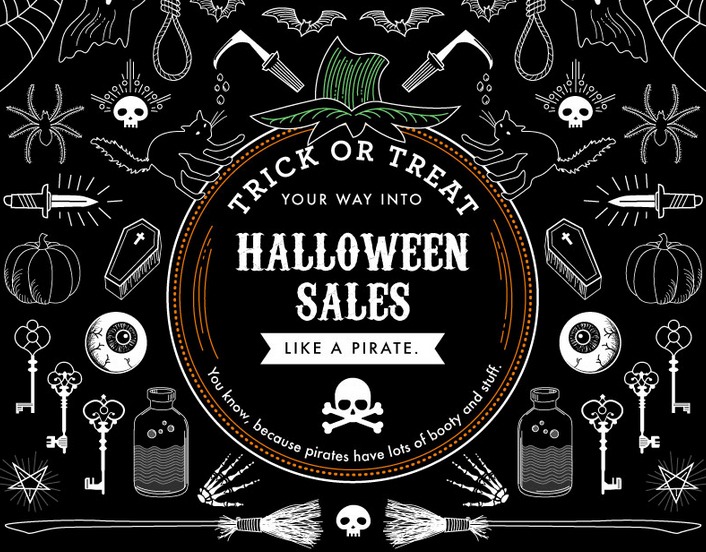 The other infographic that we thought educators would find useful is Trick Or Treat Your Way Into Halloween Sales Like A Pirate. The creator also designed "min-fographics," perfect for educators to put into any presentation software. The whimsical and colorful display to illustrate the economics behind the holiday is sure to enhance any math lesson. 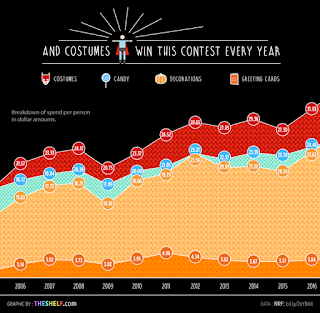 The different sections of this infographic also provide ideal opportunities for data analysis of charts and graphs. They are just the right mix of visually appealing graphics with real numbers to engage students in making comparisons regarding sales, percentages, popularity, and more. We firmly believe a little deviation away from the routine to keep students focused pays off in the long run. 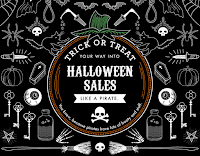 Using infographics reinforces graphicacy skills, incorporates a little media literacy using Halloween hype, and celebrates learning with a little fun. 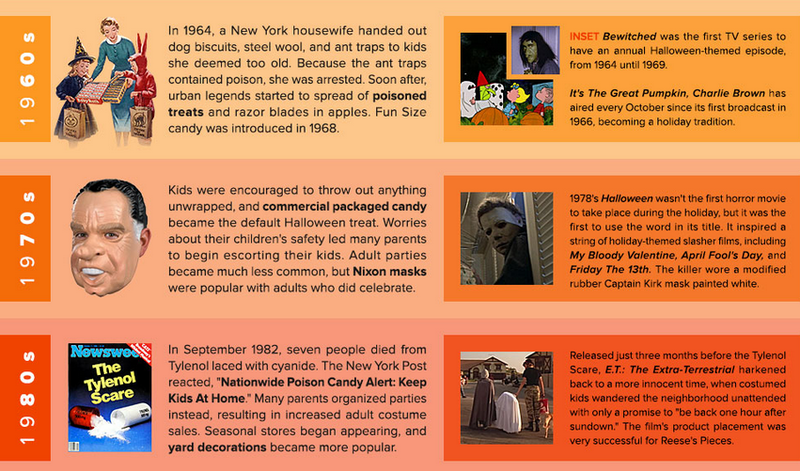 Click here for other posts on incorporating Halloween ideas in the classroom. As the national polls and the state-by-state predictions shake out in the final month of the 2016 campaign, the focus turns even more to the Electoral College as the actual arbiter of presidential glory. Somewhat enigmatic and certainly esoteric, the Electoral College stands as a tribute to the Founding Fathers' well-founded distrust of the new republic's voting population. It also exists as a potentially genius solution to the variations in population density across the country and the unyielding desire for fairness in the democratic process. Some argue that the electoral vote misrepresents the true(r) popular vote. Others claim that the College instead empowers underrepresented regions. Either way, until a Constitutional Amendment changes the process, electors will meet on the first Monday after the second Wednesday in December to pick the president. Aside from a few confidence-rattling elections – such as when a Reconstruction compromise or a Congressional broker or a Supreme Court controversy determined the winner – the electoral outcome has been affirmed by both citizens and historians. 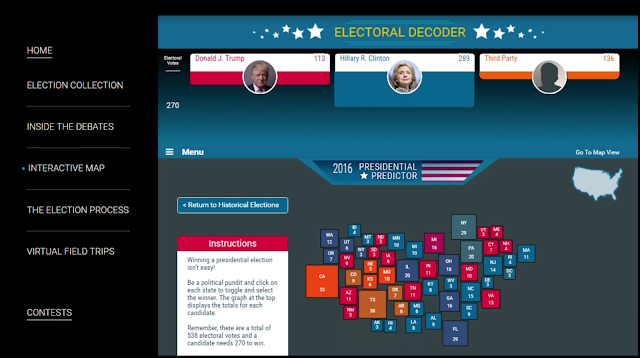 In order to explain the workings of the Electoral College to all levels of residents and students, PBS Learning Media has put together a terrific "Electoral Decoder." As a part of its Election Central page, this comprehensive and visually impressive resource demystifies the process and helps anyone become more familiar with the United States' democratic system. For classroom teachers, a good initial stop is the video introduction to the tool and the methodology. Clear map animations lead educators and learners through the workings of the Electoral College. There is also a teacher portal that includes lesson plans and instructional suggestions. The 2016 Presidential Predictor is an interactive map that employs a gamification approach, in which each student becomes a pundit and picks the winner of each state to see which candidate reaches the magic number of 270 electoral votes. Users can also view the complete roster of electoral results from past contests, displayed in clear geographic statistics. The cartogram view is another valuable lens through which historians can employ design to make the data come to life. In this view, the cartogram resizes traditional map shapes to reflect a relative input, such as population or number of electoral votes. In other words, the states with more people become larger, distorting the recognizable scheme while highlighting the crucial swing locations. 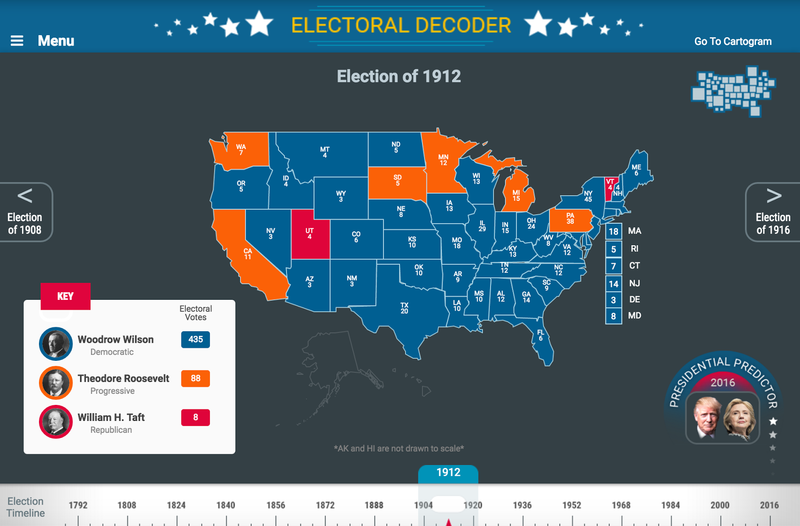 In all, PBS' "Electoral Decoder" is an informative blend of straightforward geography, time-honored civics, and forward-thinking visualizations to make American elections more accessible.